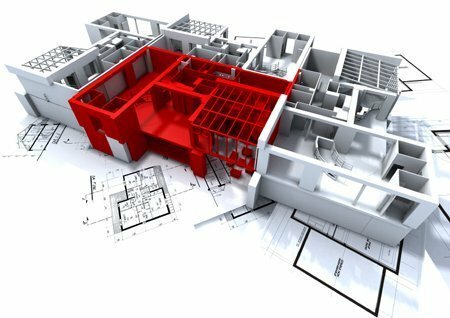 We are service provider of AutoCAD Design Services. AutoCAD remains one of the best choices of customers worldwide for its easy, efficient, and user-friendly tools. AutoCAD has the import and export facility to all other advanced and high-end software in the field of CAD and GIS. Incepted in the year 2012, in Noida (Uttar Pradesh, India), we “Ad Worldwide-tech Company Pvt. Ltd.” are one of the leading System Integrator, who provides the multi brand solution in the field of Surveillance Systems, Home Automation and Gate Automation,Web & Mobile Software ,Applications. We deal in all leading international and Indian brands. We are the System integrator s and installers of CCTV CAMERA (Analog / IP), DVRs, NVRs, T&A SYSTEM, BOOM BARRIER, LONG RANGE RFID/UHF READERS, SLIDING GATE, SWING GATES, ACCESS CONTROL SYSTEM, VIDEO DOOR PHONE SYSTEMS, end-to-end Solution, Support, Services on Customized Software, Website Designing and Development, Bulk Mail, 2D/3D Graphic Designing, Mobile Applications, Home and Office Automation, Audio/Video Convergence and IT Infrastructure Solutions to Clients. The offered security products are procured from the reliable vendors of the market under the vigilance of skilled procuring agents. We are counted as the renowned trader, distributor and supplier of quality approved Interactive Presentation and Recording Devices. Procured from the reliable vendors’ of the market, these devices are designed by utilizing the excellent quality components and ultra modern technology. We have chosen our vendors on the basis of their financial standing, market reputation, manufacturing techniques, timely delivery, products’ quality and industry experience. Clients started to approach us for finding the right direction and way to proceed for achieving their objectives and goals since 2011 which is beginning of “Journey to serve”. These security products are known for their feature like light-weight, requires less maintenance, long working life, compact design, excellent quality lens and water proof. We have well-equipped warehousing unit in order to store security products in safe manner. Will look forward to have a short meeting for a successful business relation. Ø Indian manufacturers of CCTV Security and Automation Systems. Ø In House R&D team. Ø ISO 9001:2008 & NSIC Certified Company. Ø Strong Sales and Marketing support. Ø Customized solutions for specific requirements. Ø Products designed for Indian Electric, Climate and User conditions. Ø Wired Intruder Alarm System. Ø GSM Intruder Alarm System. Ø Wireless Intruder Alarm System. Ø Video Door Phones & Digital Door Locks. Ø Stand Alone PIR Motion Sensor.